Plantersville offers the only Scenic Byway in Georgetown County. Along the Byway and throughout the ride there are ten plantations from the Colonial era that are part of the region’s rich rice farming history. These sites contain a number of pre-Civil War landmarks – mansions, slave houses, churches, rice Chimneys and other ruins. There are designated stops along the ride to encourage bike-riders to explore these grounds. In addition, the area is rich in natural beauty. The Dirleton Plantation-Samworth Wildlife Management Area is located along this stretch of byway and offers a chance to see some of the region’s wildlife in its natural habitat. The Festival area is open to all from 9 – 2 pm. It will feature entertainment, food and vendors. Entertainment will include music, a children’s area with inflatables and much more as well as a Vendor Village coordinated by the Gullah Geeche Chamber of Commerce. For additional details on the Vendor Village or to participate as a vendor Marilyn@gullahgeecheechamber.org. Food and beverages will be available for purchase. ReggaeInfinity will be performing authentic Roots Reggae from noon – 2 pm. Based in Columbia SC, band members hail from various Caribbean Islands plus the US. Original, positive music along with occasional covers keeps everyone feeling, dancing and listening to the positive vides. Bring your lawn chair and enjoy! Discover your own strength by challenging yourself on one of the routes planned for the event. The Tour de Plantersville encourages physical activity for all participants in the hopes of combating sedentary lifestyles and especially childhood obesity. Group participation, including children, is strongly encouraged. 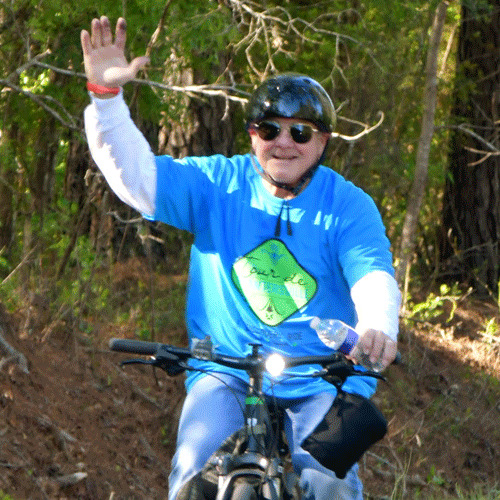 Tour de Plantersville provides a safe and fun environment to build meaningful relationships and to learn – developing a sense of pride for the area’s beauty, history and people. The Village Group serves as a conduit for the people working to make positive changes in the lives of children, which cultivates a better community as a whole. It is committed to inspiring and encouraging students to appreciate the value of being lifelong learners. Join us on your choice of distance to explore scenic parts of Georgetown County. Our 10 mile route introduces you to the community of Plantersville. You will ride through the Jackson Village community, see historic cemeteries and churches, ride along the forests and wetlands along the Plantersville Scenic Byway, and have the opportunity to see a historic plantation along the Waccamaw River. The 25 mile route adds an additional plantation site and pass by Samworth Wildlife Management Area. New in 2019 is the 40 mile route, which travels through scenic farms and forests of Georgetown County, and also goes past the Georgetown County Rocky Point Boat Landing along the Black River, as well as the historic and scenic locations along the Waccamaw River. The 40 mile route has 3 rest areas, the 25 mile has 2, and the 10 mile has 1 rest stop. First 200 registrants receives a tee shirt. All pre-registered riders receive lunch (shrimp & grits or red rice & fish) and a chance to win a get-away package - 2 night stay at Surfside Beach Ocean Front Hotel, $75 GC to Crabby Mikes, $20 GC to Benjamin’s Bakery and $20 GC to Old Chicago. If you are interested in becoming a sponsor please email us at operations@thevillagegroup.org. We'd love to have you! In the event of inclement weather, the post-ride event will be moved into the Plantersville Elementary School multi-purpose room. Riders may shorten their rides, or, if there is lightning in the area, all riders will be advised to return indoors as soon as possible. Shuttles will depart immediately to assist riders. The TDP will not be rescheduled to Sunday due to the fact that many of the registered participants will be unable to attend due to religious services and various other obligations. In the event that the TDP is cancelled due to dangerous weather, registered participants may not receive any reimbursement, and all fundraised dollars will be considered a donation to The Village Group.